That is a true statement if there ever was one! Whether your business is in the start-up phase or you’re trying to grow, this running a business thing is definitely not what I’d call pretty. Once the “entrepreneurial high” has worn off and you are neck deep in the day-to -day hustle, of juggling ALL THE THINGS, it is inevitable you will hit a crisis of confidence. You are taking a RISK in following your dreams to build a successful business and the statistics don’t lie. According to the U.S. Small Business Administration (SBA), less than 50% of businesses will survive their first five years and less than 20% will reach year ten. Ouch. It’s scary to risk the “stability” of a J.O.B. It is uncomfortable to not know exactly what the future holds. It is overwhelming to want something so bad, but not really know how to do it. It is stressful to feel the burden of generating revenue month over month. It is frustrating to handle the damage when an employee makes a mistake. 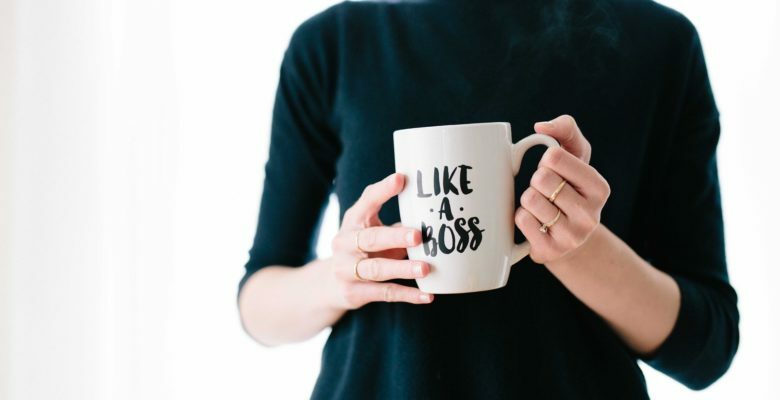 A crisis of confidence can stem from the stress of selling, lean finances, employee issues, or just a totally unexpected pivot that was thrown in your path. Whatever the cause of your loss of confidence just know, it’s going to happen. Having a plan in place will help you navigate tough decisions and keep the ship moving forward until you get your mojo back. So how do you feel more confident? How do you persevere when you hit a stretch in your business where you feel stuck and chaotic? I’m all about success routines that help you to remain focused and working with intention. Consistent routines are amazing for productivity. Let’s be honest though, routines and consistency may be holding you back in a comfort zone and that is causing your business to plateau and your confidence to sag. Be innovative and step outside of your comfort zone. Be creative and be bold to shake things up. Allow yourself to brainstorm for solutions that are different than your normal routine. Do something that will surprise others, do the unexpected! You are worth it. You have big dreams and you are worth the effort it will take to make it happen. Asking for what you want starts by being super honest with yourself. What do you want and are you willing to put the effort that is required to achieve it? Stop feeling obligated to what others expect of you and start doing what you want, the actual things that will move you closer to achieving your dreams. Stop worrying about what others want or expect from you and ask for what you want. You are the one that needs to live with your decisions and you certainly don’t want to resent your business when you realize it wasn’t really what you wanted in the first place. Know your values & your value. Sometimes a crisis of confidence comes when you realize that you are not spending your time and efforts in a way that is aligned with your intrinsic core values. Nothing feels worse to look up and realize you’ve strayed from your values. What is awesome though, is that you get to choose to right the wrong and hit the reset button! Do you know your top three core values? Do your customers and employees know them? Starting with defining your businesses core values helps you (and your team) find the drum you will beat on your way to success. This drum keeps the bumpers up as you fail your way forward! As important to knowing that you and your team are fully aligned with your defined core values is understanding the value you bring to your customers. Stop trading time for money and evaluate the short and long-term value your product or service has. Factor in the unique customer experience you provide and be able to articulate your business’ unique value proposition. Understand your actual costs, put your profits first, and ask for what you deserve. Know your values and you’ll be building a business that delivers value! So much easier said than done, right? Put your ego aside and realize you will not be the only person in the history of the world to be able to do everything all by yourself. Stop being a martyr – ask for help. Not sure who to ask? Start building relationships and be purposeful with surrounding yourself with those that support you. Just a warning, this may not be your close family and friends. It’s not that they want you to fail, it’s that they are fearful for you and they can’t even fathom taking the action you are, and it may come across as not being the most supportive. Dive into your community’s entrepreneurial community and start connecting with others that are doing the same thing you are, acting despite the fear! Find those that are smarter than you and develop your network so that you have peers and mentors that can be there for you. Start looking for experts that you can contract with to do the things you aren’t the expert in or the things you need to stop doing to grow your business. Please also make sure you have a support system for the dark days. When a crisis of confidence triggers depression, anxiety, or self-medication. Ask for help. And guess what? Understand that you are so flippin’ “normal” and are in good company! Ask any successful business owner and they will have a story about risk, grit, perseverance and about their own days of wondering what the heck they got themselves into! Remember, you are right where you need to be. The highs and the lows are all part of your story. You’ve got this, now go make it happen!